Leadsom: more competition in retail banking is needed. UK Treasury officials and senior bank representatives showed diverging views over the future of retail banking at an event hosted by Experian in London yesterday, revealing differences of opinion about how best to reform the sector. 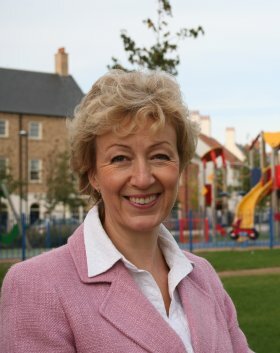 Andrea Leadsom, MP and member of the UK government’s Treasury Select Committee called for the creation of a shared payments infrastructure into which many core bank functions would be placed – a suggestion that is also currently being discussed at the EU. Seven-day account switching comes into force in the UK in September, and requires banks to transfer a customer’s direct debits and standing orders to a new bank of their choice within a maximum period of seven days. Proponents of the scheme argue that it will help boost competition by making it easier for consumers to switch banks; according to Leadson, consumers are currently more likely to get divorced than change their bank account. Critics object that it simply imposes yet another unnecessary burden on bank resources, for little or no real gain. Uncertainty remains about how far the account switching rules will eventually go, with some parties (including Leadsom) arguing for full account number portability in which the customer keeps their existing account number, while others fret that this would impose an excessive burden on banks to overhaul their systems at a time when many are already struggling with mounting regulation-driven costs. As for creating a centralised utility for payments, again the divisions run deep between those who see such a solution as more efficient, ultimately benefiting the end-consumer, and those who see it as another step in the wrong direction. The disagreement reflects a wider theme that runs through much of the debate over how to reform the banking sector. Division and even schism between regulators and market participants has become a fixture of discussions in the capital markets in recent years. Informal discussion between delegates at the conference frequently revolved around antiquated banking systems, including examples of ‘green screen’ technology dating back to the 1980s, banks using multiple legacy systems owing their origins to a complex history of mergers and acquisitions, and even pre-decimalisation systems being wound down. Everyone agreed that modernisation was necessary, but few agreed that regulation such as seven-day account switching would help. The UK Treasury consultation later this month aims to improve competition in UK retail banking – a goal widely seen as necessary, given that 80% of the current accounts market is held by four big players. Technology and information companies CGI and Experian have partnered to help Europe’s banks and corporates meet the requirements of SEPA, the Single Euro Payments Area, on direct debits. Funding round led by Experian, alongside many other investors. Social investment network eToro is to open up shop in the UK, having won approval from new regulator the FCA this month. Founded in 2007, eToro is a social trading network that aims to revolutionise the way retail investors and high net-worth individuals connect with the market. Experian, a provider of information services, has appointed Andy Marshall as director of sales, credit services, Experian UK and Ireland. Setting up a bank in the UK is costly, time-consuming, heavily regulated and not easy. As a result, the dynamic, start-up culture that drives innovation in many other sectors is less prevalent within banking and financial services. Keep your finances between you and your digital device. On completion, ClearScore will be included within Experian's UK Consumer Services.